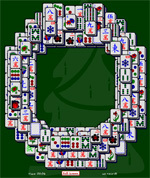 Another pyramid style game, Triple Threat Online Mahjong Solitiare gives you three peaks to conquer! Whoa! 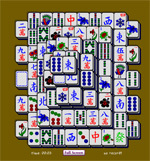 The idea is the same: choose matching available tiles to eliminate them from the online mahjong solitaire board. 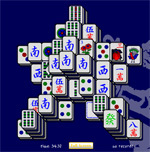 Work downward from the three mahjong summits to reach the bottom of the board to win. Get a record time and the dragon will breathe fire for you at the end of the game. Ask your friends to join you at Online Mahjong Solitaire.com to try to beat your times. 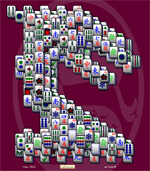 try Online Mahjong Solitaire.com on your android- we work!